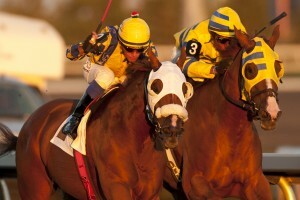 Pender Harbour’s full brother steals the show at the Canadian Premier Yearling Sale! A chestnut colt by leading sire Philanthropist out of the Hail the Ruckus mare Uproar, topped the Select Session selling for $325,000. The colt who was consigned by Mapleville Farms Ltd., agent for Paradox Farm Inc., was purchased by John LeBlanc, Agent on behalf of a syndicate. Pender Harbour (left) winning the 2014 $125,000 OLG Elgin Stakes August 27 at Woodbine. Paradox Farm’s Dr. Moira Gunn was very pleased with the day’s results. “I am glad to see the whole Sale is doing well and that there is interest in the Ontario Program.” In speaking of the legacy of Mike Colterjohn, Dr, Gunn added, “Mike would be so proud”. The second highest price of the Sale was a bay colt by the three time leading sire in Canada, Old Forester, selling for $145,000. The colt, property of Ballycroy Training Centre, out of the Smart Strike mare Miss Blakely, was purchased by Full House Stable. The third highest price of the sale was another colt by Philanthropist, selling for $135,000. The bay colt, consigned by Huntington Stud Farm Corp., Agent, out of the Ascot Knight mare Simply Precious, was purchased by Colebrook Farms. “Renewed faith and confidence in the OSS program was evident throughout the sale. From the outset it was clear the enthusiasm from both buyers and consignors would carry the day,” said Ryan Mahan, Chief Auctioneer of Ryan R Mahan & Associates, Inc. The Selected Sale resulted in 135 yearlings selling for $4,466,000 up 48.7% from last year’s total of $3,003,000. The average price was $33,081, up 50.9 % from last year at $21,920. The median was $25,000, a 56.3% increase over the $16,000 median of 2013. “Our local breeders have struggled for the last couple of years and it is with renewed optimism and well deserved success that those who persevered through these trying times have finally been rewarded as a result of faith and confidence, now prevalent in our Ontario-Bred / Ontario-Sired program,” said Yvonne Schwabe, Sales Chair and Director of the Ontario CTHS. The Open Session of the 2014 Canadian-Bred Yearling Sale starts Wednesday, Sept. 3rd at 6 p.m, with a total of 74 catalogued. The Open Sale can be viewed live via a webcast on the CTHS website. 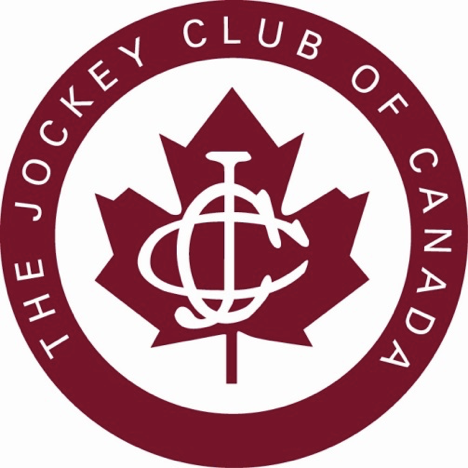 To view the results of the 2014 Canadian-Bred Yearling Sale, please visit http://www.cthsont.com/yearling-sales-results.html . For further information, please visit www.cthsont.com or contact the CTHS at 416-675-3602.